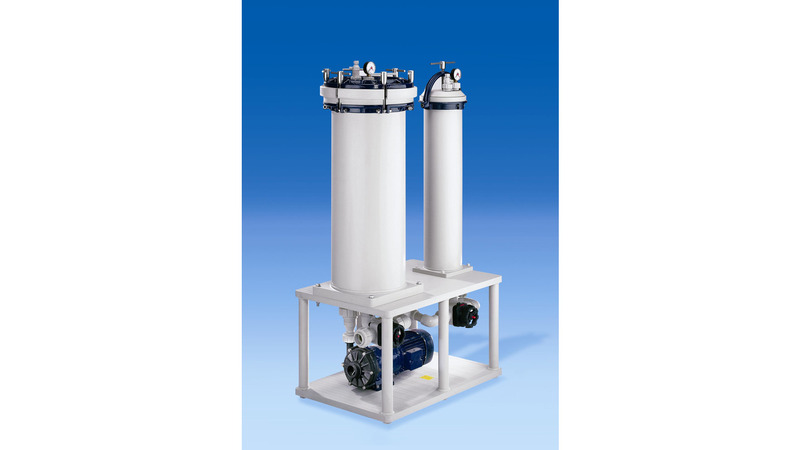 SONDERMANN filters are used to remove, by means of depth-type or surface filtration, both organic and inorganic contaminations from aggressive and neutral liquids. Main fields of application include electroplating, etching and cleaning plants, sewage and water treatment installations as well as solar, textile and food industries. activated carbon as granular bed or filter cartridge. To meet specific requirements, our universal filter housings are available as types 1, 3, 4, 8, 15 and 32. The type number is identical with the number of filter element slots. This allows you to choose filter sizes and numbers according to specific demands.